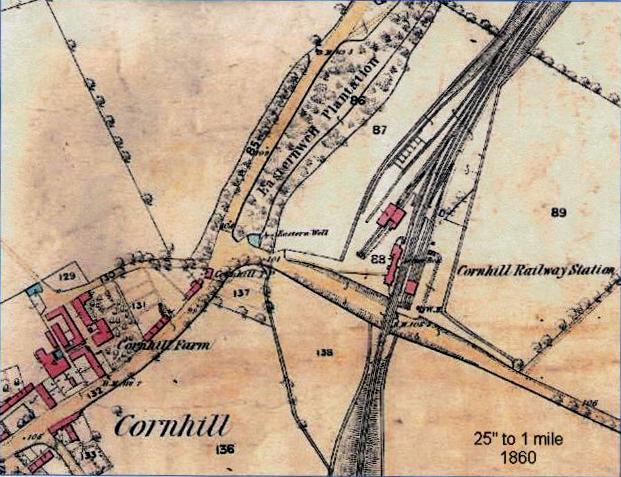 1849 The railway came to Cornhill. 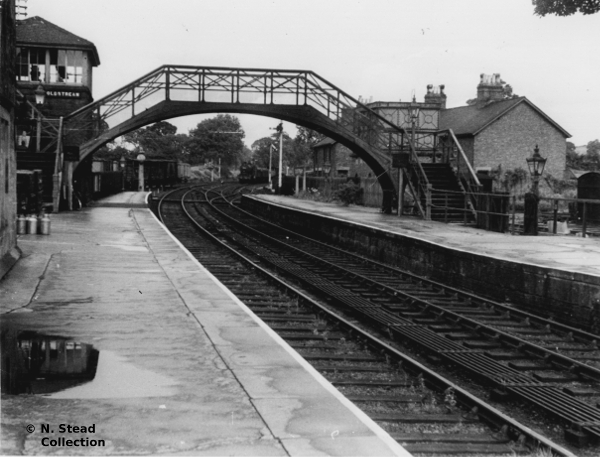 The Tweedmouth to Sprouston line was opened on 27th July. 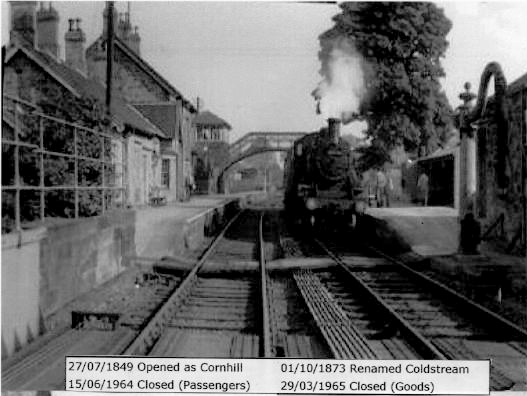 Before that there was a daily mail coach between Berwick and Kelso, stopping at Cornhill. 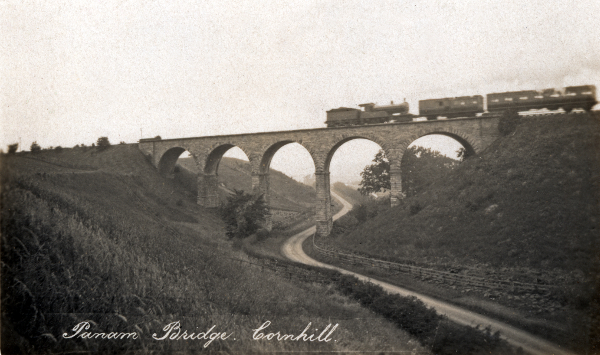 In 1836 the Royal Mail stagecoach from London took about 36 hours to reach Berwick. 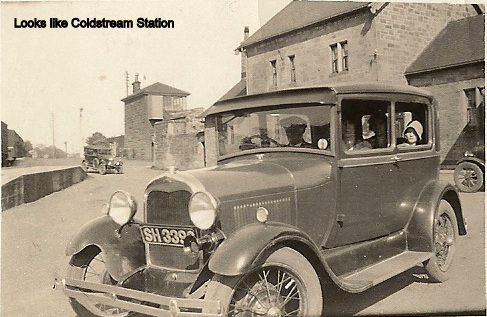 There were also carriers' waggons carrying goods and passengers. Some local people had horses, occasionally a carriage, but most people walked to where they wanted to go. Most people did not expect to travel far and most were employed in agriculture with long hours and very low pay. The annual hiring system did mean that there was some short-distance migration. 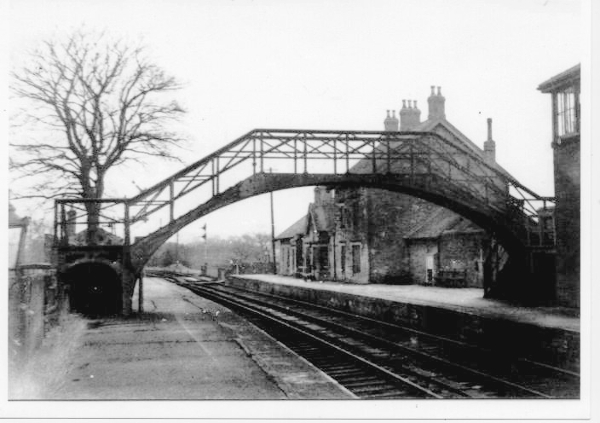 1850 By March of this year there were three trains each way on the new line (two on Sundays), The new railway connected at Tweedmouth with the main London-Edinburgh line and so for those who could afford the fares (and time) there were unprecedented opportunities for travel. The best time to London Euston was around 16 hours, soon reduced by the opening of the direct line to King's Cross. 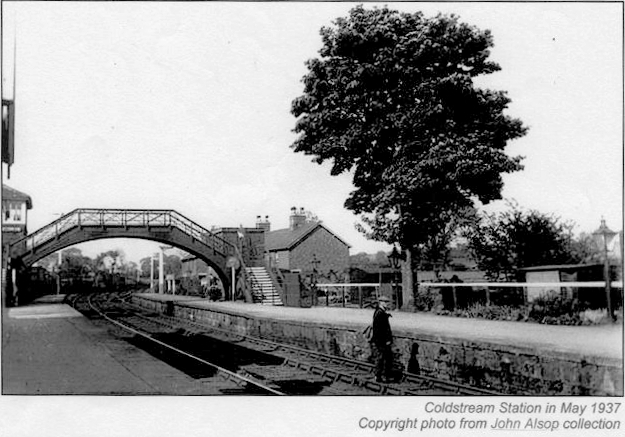 1887 A new railway from Alnwick to Cornhill was built (expensively) and opened on 5th September. 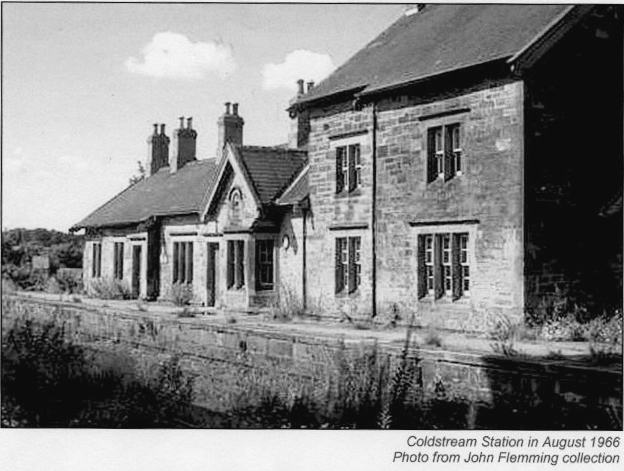 A general view of Coldstream station, looking east in the early 1960s. In the distance a J39 0-6-0 engine approaches the station with a westbound freight train. 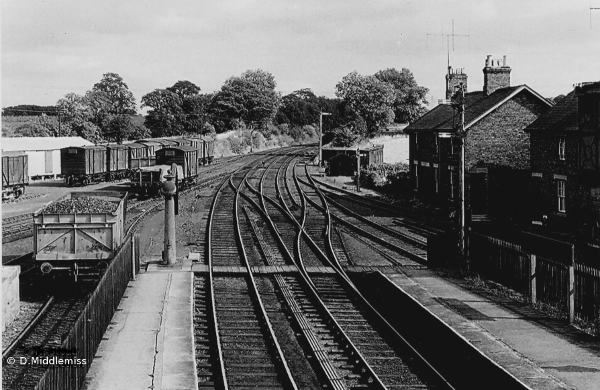 View of the station looking east, taken from the signal box window. The Panam Bridge is also known as Panama Bridge and is over the Dedhoe (Duddo) Burn. It is said to be named from Panama Cottage which used to be below it to the north. There was a sawmill here in the 19th century. The name could suggest that timber from Central America found its way here. 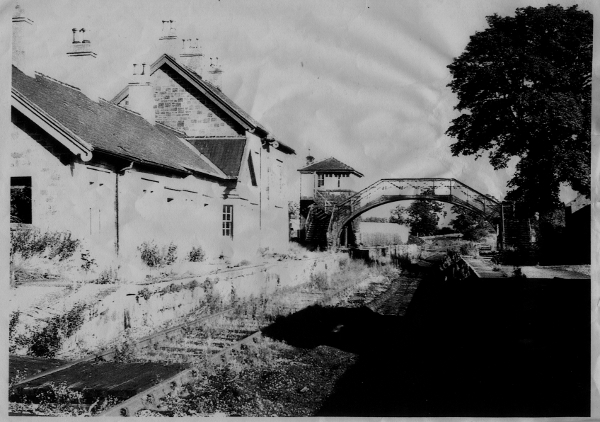 1964 The Kelso-Berwick passenger service lasted until 15th June, nearly 115 years since the line opened. 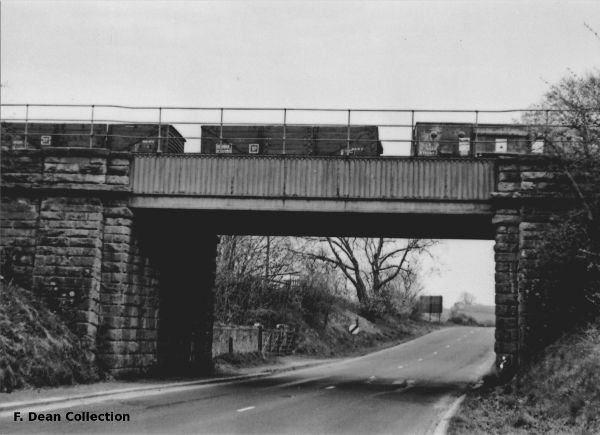 1965 Line was closed for freight.